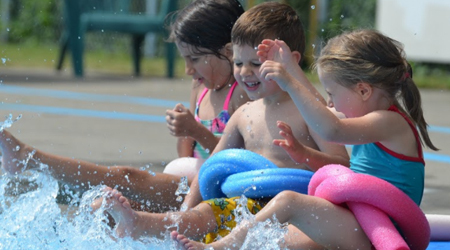 An overview of swim lessons, courses, and related programming at BHILL pool. An extension of lessons, the 6 & Under program is an introduction to swim team training except a whole lot more fun! The children play games while concurrently addressing fundamental swimming skills and pool safety. Participants are also given the opportunity to compete in our Wednesday night swim meet series. 6 & Under swim team-must be able to swim one width of the pool unassisted. Swimming lesson at Beacon Hill Pool are programmed and graded according to the Olympic Way method. 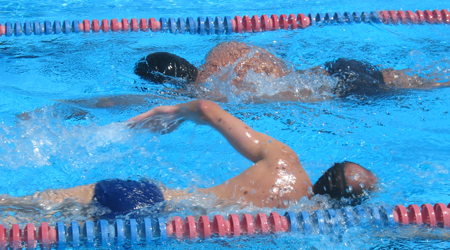 There are 8 swimming levels, ranging in ability from beginner to accomplished swimmer. The requirements for each level are listed in the table below. A child must complete and exhibit proficiency at each skill level before advancing to the next. Beacon Hill is a member of ALPs, the Association of Lakeshore Pools. As such, we participate in competitions organized by ALPs pools. These competitions range from duals, such as weekly swim meets versus another local pool, to sections, to entire association competitions. They are fun, exciting, friendly, and challenging for kids of all skill levels and a variety of age groups. 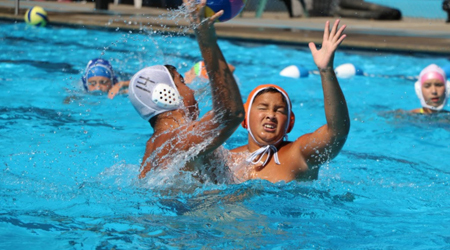 Beacon Hill competes in swimming, synchronized swimming, waterpolo and diving. A leadership development program for members 11 years of age and older designed to introduce participants to skills and responsibilities essential for pool operations and safety. These include gate guarding, general maintenance, and event planning, as well as mentoring younger swimmers and assisting with lessons. Leaders also participate in a variety of games, activities and outings to promote social interaction and relationships with their peers. Leaders meet once per week to discuss and plan future events. 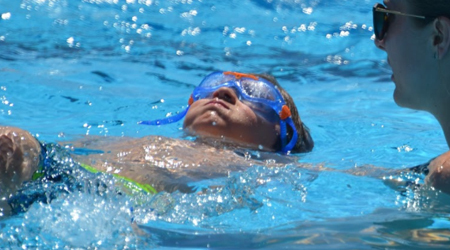 Our adult and masters swim program offer swimmers of all skill levels a unique aquatic experience during the hot summer months both in and out of the pool. Enjoy a leisurely lane swim, work on technique, or train for that next big race. Surround yourself with like-minded individuals, meet new people and benefit from decades of collective swimming and training experience. For teens who have completed their Swimming Lessons and are interested in learning basic and advanced lifesaving techniques, Beacon Hill Pool offers Bronze Medallion and Bronze Cross Lifesaving courses. Bronze Medallion teaches the basic lifesaving principles of judgment, knowledge, skill, and physical fitness. Candidates learn rescue procedures for both conscious and unconscious victims. This certificate is required to take any other Lifesaving or Lifeguarding courses. Prerequisites: 13 yrs of age by time of Exam (or Bronze Star) and Gold Swim level (or equivalent). 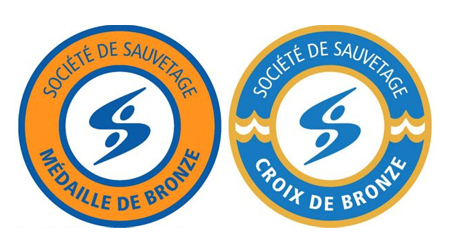 Bronze Cross builds on the lifesaving procedures of Medallion and prepares candidates to assess dangerous areas and dangerous behaviours in order to keep aquatic facilities safe and to prevent accidents. This certificate allows candidates to work as “assistant lifeguards” and is required to take the National Lifeguard course. Prerequisite: Bronze Medallion. Note: Additional fees for exams and equipment will apply.